Indian Groceries in Coral Springs, Florida. See reviews, maps & directions, phone numbers and more for the best Indian Grocery Stores in Coral Springs, FL. City of Coral Springs is a diverse, global city on South Florida. Lots of Indian professionals are settled in South Florida due to newer houses and good schools. Indian, Pakistani & Bangladeshi foods, halal meat & fish, instant meals, frozen foods, snacks + Bollywood DVDs/CDs. Indian Grocery stores have a great collection of foods from all over India. Some carry fresh produce like fruits and Indian vegetables, grains and flours, to spices, drinks, frozen food, ready to cook items, desserts and Indian snacks. While almost every local grocery store or produce market will have vegan foods, finding india specialty items can sometimes be challenging. Note: Some of the grocery stores may have closed down, make sure you phone ahead before making the trip. Fresh Indian Vegetables Normally Arrive on Thursdays, Fridays Or Weekends in India Grocery Stores! The selection & quality of vegetables depends on the day you visit. Watch out for Expired Items in Desi Store Shelf. Halal Meat : Fresh Chicken, Goat Meat, Beef : Most Indian stores clean poultry & meats. 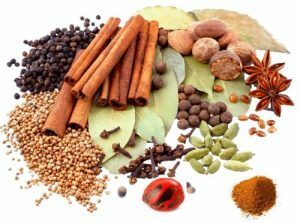 Indian Grocery stores (desi store) typically offer standard Indian cooking needs such as dals, rice, spices, sweets, fresh Indian vegetables, relishes and chutneys but some of them offer small chat and quick bites option with fresh and traditional indian food among other things. Indian Grocery Store is not just about buying food. It's also the place to get advice about what the good neighborhoods are, how to find an apartment, even employment and much more.